Here is a mobile phone that’s on the very humble side. BLU C5 2018 is an Android smartphone, but it’s made in a way that only people with minimal experience of a smartphone will appreciate it. Normally, not everyone can afford even a mid-range smartphone. Not everyone wants to make use of every ‘good stuff’ that a high-end mobile phone offers, hence the need for smartphone manufacturers to think about low-end mobile phone users. BLU C5 2018 is a rugged smartphone. It is made of plastic. This doesn’t mean it doesn’t have its own strengths. Most of us are used to metal, aluminum, or a combination of both. For BLU C5 2018, the body is solely made of plastic. The device comes with 5-inch IPS LCD Capacitive Touchscreen Display, having a resolution of 480 x 845 pixel, 16:9 ratio, with a screen to body ratio of 65.9 percent, coupled with 195 ppi density. It’s a multitouch device. These features are there to show that BLU C5 2018 isn’t as bad as one may think. The device comes in three primary colors: Black, blue, and gold. For a smartphone of BLU C5 level, 5 MP rear camera with LED Flash isn’t bad at all. There is a digital zoom and a 3.2 MP front camera for selfies. The front selfie camera comes with flash. The cameras can shoot moderate quality pictures of 720p@30fps.They are equipped with features such as geo-tagging, touch focus, face detection, panorama, and HDR. BLU C5 2018 runs on Android Operating System v8.1 Oreo Go Edition. The CPU is a Quad-core 1.3 GHz Cortex-A7, while the GPU is Mali-400, based on new chipset MT6580. These surely enhance speed in the mobile device, as it is not the same for a smartphone of this caliber made three to five years ago. For storage, there is the internal 8GB and 1 GB RAM. A microSD card can increase the memory up to 64GB. Surely, there’s a level to which you can load this device with stuff. The battery is a Li-ion 2000 mAh battery. This is reasonable as usage of 2G internet will be effective for 550 hours on standby nut up to 20 hours talk time. When used in 3G internet, it’s 15 hours talk time but will remain the same for stand-by time. Let’s be quick to admit that Blu C5 2018 is not a smartphone for 4G LTE. It is able to make use of 3G and 2G anyway. You have the Wi-Fi capability and the hotspot connection available as well. BLU C5 is A-GPS, and Bluetooth 2.1 equipped. There is FM radio and micro USB 2.0. Ordinarily speaking, some online stores will sell BLU C5 2018 for $60, but you can purchase it for about $55 on an online market such Amazon or elsewhere. 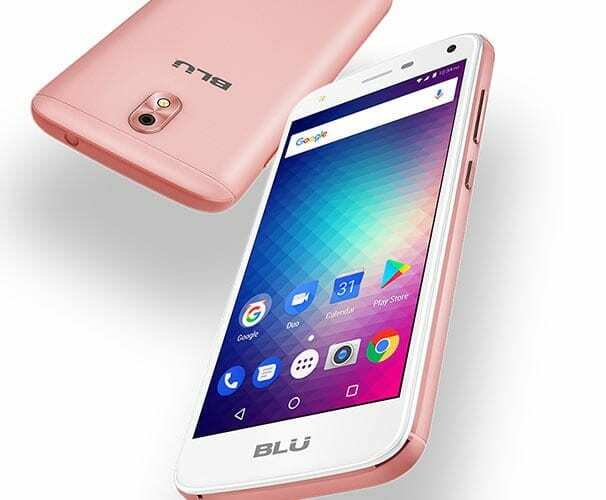 BLU C5 is already available in offline and online stores now, though it remains to be seen whether the device will be released in other smartphone markets around the world. Who is BLU C5 Good For? For those who still don’t know much about smartphones BLU C5 2018 is a good way to start and familiarize themselves with Android phones. Such ones could only make basic use of a handset. Secondly, you may be looking for a smartphone that will take care of your needs, so you don’t have much money to pay for a mid-range smartphone. Start with BLU C5 2018, and you don’t have anything to complain. Thirdly, do you have a teenager at home that you think is ready to own a smartphone? BLU C5 is a good fit for him or her. Don’t bother as you would if you bought them an expensive phone that they can take to school.